Pictures Forget BlackBerry and Bill Gates: the first business computer in the world was British and was used to help sort the logistics for bakery distribution. 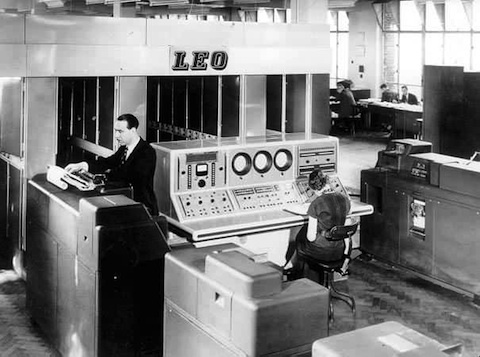 Tea merchants, bakers and Wimpy burger founder J Lyons and Co instituted the enormous programmable computer – LEO – in its Hammersmith office to help with deliveries of perishables including cakes way back in 1951. Today is LEO's 60th anniversary. You can read about LEO's driving force, David Caminer, in one of Reg Hardware's Unsung Heroes of Tech articles. 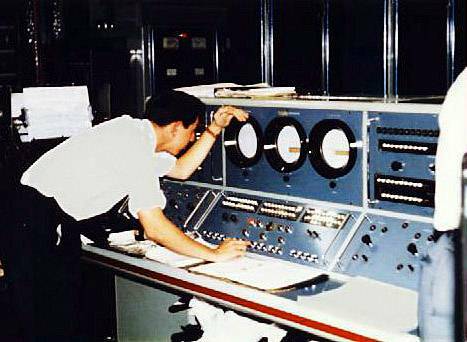 The beast of a machine comprised 5,936 valves and 64 mercury memory tubes. Each memory tube was 5ft long and weighed half a ton. It took up 5,000ft2 (464m2) of floor space and required 30,000 watts of energy. Valves would regularly fail, with up to about 50 a week being replaced at one point, said the London School of Economics. The machine also had a speaker installed and programmers could hear the sounds generated as LEO performed certain calculations. The programmers became so accustomed to certain frequency variations, that they could detect something was wrong with a program by the sounds produced through the speaker. The programmers also used this speaker arrangement to generate some of the first "computer music".